David Paton has contributed to the understanding and management of Australia’s natural environment for four decades and is highly regarded for his research activities at Kangaroo Island and the Coorong, both of which are internationally recognised South Australian icons. 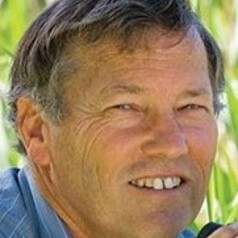 A founding member of the University’s Research Institute for Climate Change and Sustainability, his areas of research expertise include: the ecology and behaviour of birds, conservation, revegetation programs and habitat restoration, bird-plant interactions (eg, pollination), Murray River and Coorong ecology, management of vertebrate pests (cats, koalas, birds), and responses of flora and fauna to fire and drought. In 1999 Associate Professor Paton AM received the SA Great Award for the Environment in recognition of his contribution to understanding, protecting and enhancing South Australia’s natural environment. In 2006 he was the recipient of the Premier’s Science Excellence Award for Excellence in Research for Public Good Outcomes. In 2008 he received the Member of the Order of Australia (AM) for “service to conservation and the environment through research into the ecology and behaviour of Australian birds, to the management and restoration of the natural environment, and to education”.